Includes DNA My Dog Breed ID test:You get the Genetic Age Test PLUS the DNA My Dog Breed Identification Test. 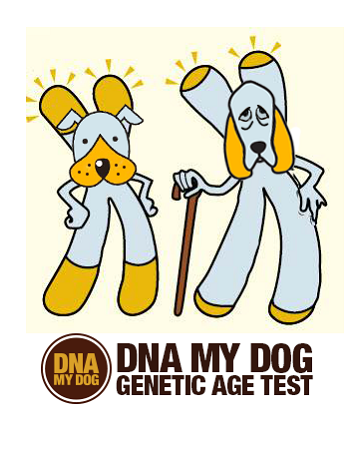 The DNA My Dog Canine Genetic Age Test is designed to determine the biological age of your dog. 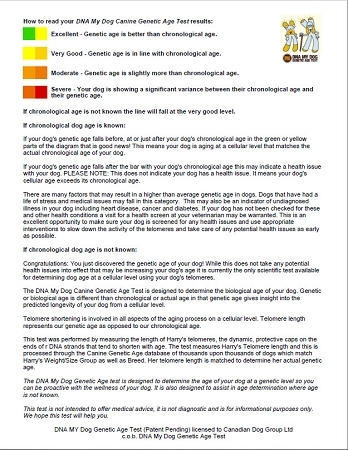 Genetic or biological age is different than chronological or actual age in that genetic age gives insight into the predicted longevity of your dog from a cellular level. Telomere shortening is involved in all aspects of the aging process on a cellular level. Telomere length represents our genetic age as opposed to our chronological age. You also get the DNA My Dog Breed Identification Test which will determine every breed in your dog with your dog's own DNA. When you order your test today you will get a full report emailed to you within two weeks or less of us receiving your sample. Sample collection is fast, easy and painless. 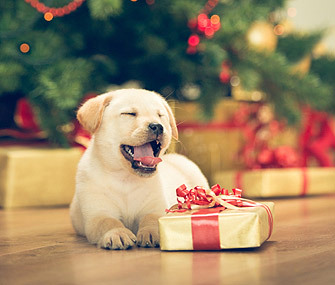 Discover why clients use us over and over again for all of their dogs. With your test you will discover:.